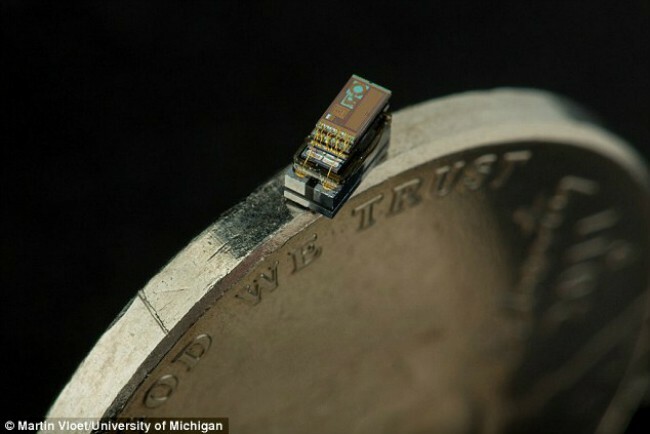 Michigan Micro Mote is the smallest computer in the world. One hundred and fifty of these devices fit in a thimble. The creators say that the computer was started to be developed over a decade ago. It is working as a smart sensor capable of ordinary things combine into a single network. Michigan Micro Mote is the first complete working computer system measures just two millimeters in width. It is a full computer system which is able to receive data, process, store and know what to do with them next. Certainly, it should be able to output the processed information. David Blau, Professor of Electrical Engineering and Computer Sciences, University of Michigan, said that the data input devices are the sensors, the output device – radio transmitters. In addition, a full-fledged computer must support themselves on their own energy. Micro Mote can. Micro Mote is equipped with solar cells that charge the battery ambient light and not necessarily naturally occurring. This allows a tiny computer to work continuously. Despite its diminutive size, Micro Mote can take pictures, record the temperature and pressure. Researchers hope to find the use of a microcomputer in various fields, ranging from medicine and finishing industry. Miniature size Micro Mote allow it to enter into the human body, where it can carry out an electrocardiographic study to measure blood pressure and body temperature. The microcomputer can also be used to search for oil deposits. 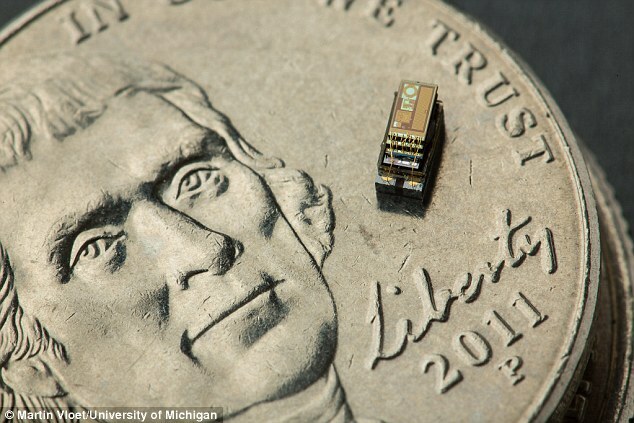 The University of Michigan believes that Micro Mote is a great way to not let things get lost. People who care about their safety can buy several microcomputers and connect them to the keys, wallet or any other thing of value. The combined single computer network things are always prompt your location. According to David Blau, Most of the space in the mobile phone holds the battery. Thus, reducing power consumption can also reduce the size of the battery and consequently the whole system. According to CBS News, Micro Mote is ready for production. The research team is not going to rest on our laurels and plans to create more small computers, which it calls the smart dust .